It’s my first month away from Loughborough and boy do I miss student life! 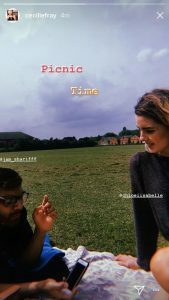 Before my Dad came to pick me up, some friends and I spent some quality time together in one of the parks we have nearby having a cute little picnic. We were reminiscing over the last three years and realised that our friendship was mostly built in final year. Although it’s a shame we didn’t get to spend much time together before this year, I’m so glad that we met and established the relationships that we have now. I have no doubt we will stay in touch .. Loughborough is for life as they say! 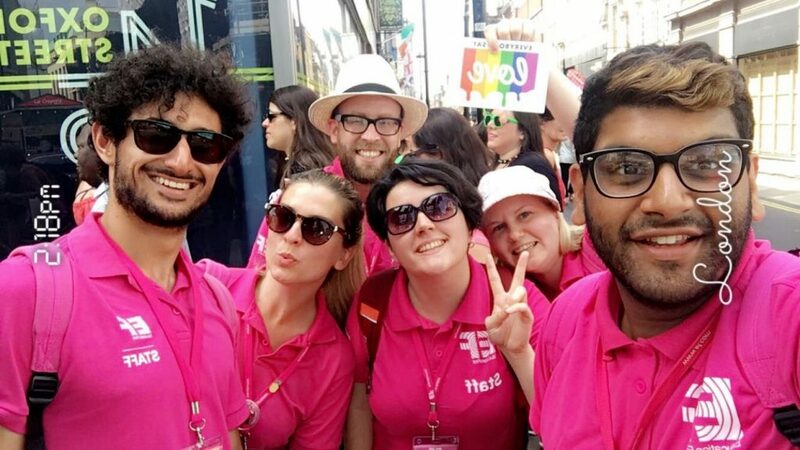 Since leaving Loughborough, I had about 5 days at home and then I managed to get myself a summer job with EF as an Activity Leader in Brighton. 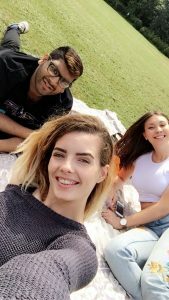 We basically have hundreds of international students come to the UK to learn English and my role is run and lead really fun activities with them! 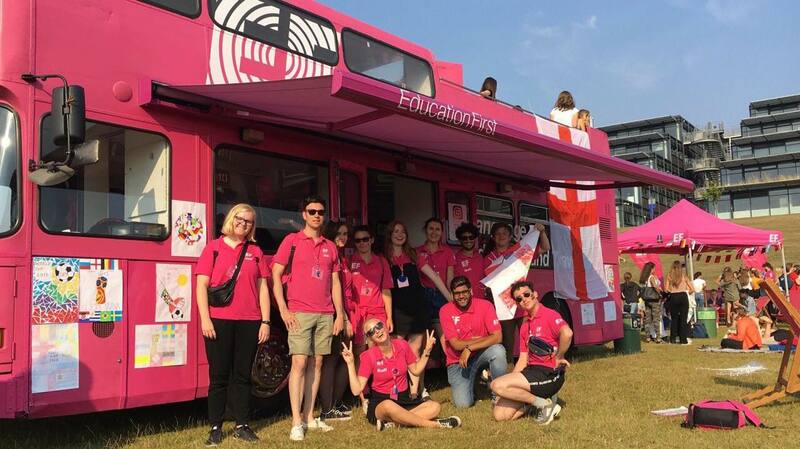 We go on so many amazing trips to places like Thorpe Park and Christchurch to show the international students some places around the U.K, as well as, host Holi-parties and Disco Nights in Pryzm – we really do it all! The best thing about this summer job for me is the traveling aspect of it. I had never visited Brighton before, but now I know just as much as the locals do! 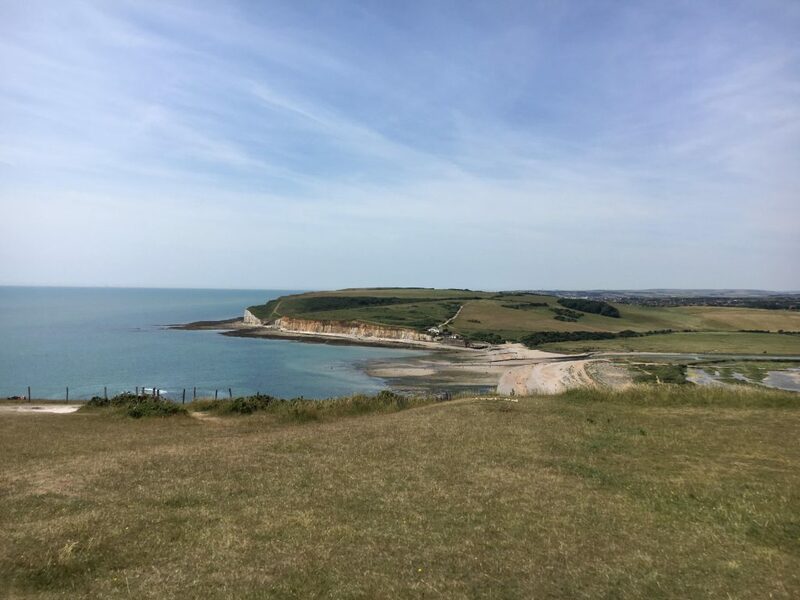 One of my excursions was a hike to the Seven Sisters. The cliffs were really powdery and they’re starting to crumble. It was really scenic and I’d definitely recommend a visit! In about a week’s time I’ll be returning to Loughborough for Graduation and that’ll be my final goodbye to the Bubble. I really don’t know how to feel. When I was working at one of the discos, I received my results! I’m over the moon to say that I got a 2:1 and I also achieved a First in my Research Project on Mental Health in the Black, Asian and Minority Ethnic Community (which I spoke about in a previous blog). It’s such a rewarding feeling when you receive such a positive outcome of endless days and nights of constant work! 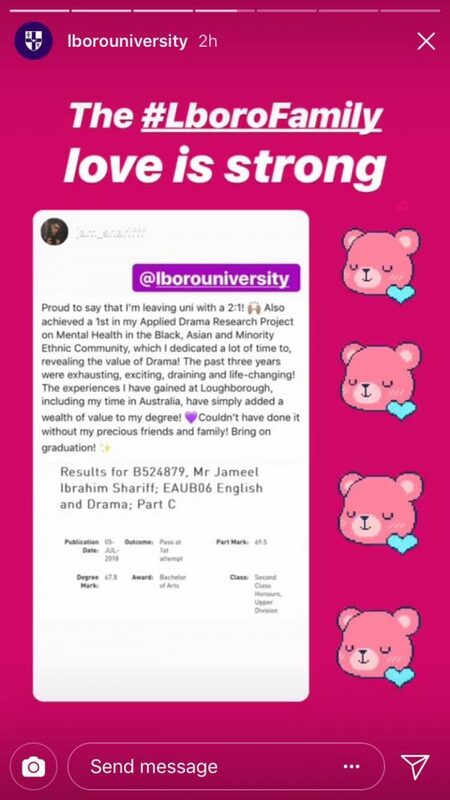 It felt even more rewarding when my cheesy insta-story was reposted by the uni (lol)! Anyway, I better get back to work! You’ll be spammed with Graduation photos in next month’s blog ….. so get excited!!! Third-year English and Drama student from Birmingham. Describe Loughborough in one word? UNIQUE!